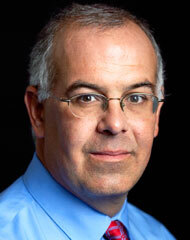 Following is David Brooks' delicious poke at Mitt Romney's derriere which appeared in the New York Times. Remember, Brooks was the earliest, if not the first, Republican to call out Sarah Palin for her lack of brain power. I do believe this Op Ed piece surpasses anything the man has ever written. Snarky as all hell and right on target. Hahaha, you missed the whole point Brooks was making. Not surprising, liberals lack any sense of humor--especially about themselves. Brooks was not blasting Romney, he was blasting you. He took every extreme, distorted, twisted liberal characterization of Romney and wove it into a biography as liberals would imagine. You've been totally skewered and your celebrating it. LOL!!! Hahaha back at ya. This is exactly the kind of spin expected from a fright-winger. The problem is that it's so close to the truth, "you" don't get it. Link to the original article and read the comments. "nominally conservative writer David Brooks took that inch and went whole-hog, penning an op-ed that blasts mainstream political reporters and the broader left for their fixation on inane details of the former Massachusetts Governor's biography." The first problem with that argument is the fact that the mainstream media gives Romney smooth sailing and rarely ever challenges him on any of his "misspeaks." The second part is that Romney has no depth, no character, no content, thus his real biography - whatever that might be - is rather shallow. Since Brooks once wrote a very serious piece on the right-wing extremists corrupting the GOP, it wouldn't make much sense for him to suddenly defend a man who, with his running mate, embodies that very extremism. Conservative Brooks has done something clever here, in pursuit of remaining relevant in an adverse environment. Out of partisanship, Brooks would undoubtedly prefer to write a laudatory piece on the GOP nominee. Given Romney's abysmal record as governor of Massachusetts, his record of pandering to whatever constituency he thinks can be persuaded to support him, and thus, his breathtaking series of 180-degree position changes on important issues, Brooks can't bring himself to try to apply that much lipstick to this political pig. At the same time -- and especially given the possibility of Romney becoming the next president -- Brooks isn't willing to take a principled conservative's stand against the man. Partisan pundits who earn rat-in-the-woodpile status do their careers no favors, after all. So, given the suboptimal reality of his situation, Brooks has come up with a parody that offers something for liberals and conservatives, Democrats and Republicans alike, to read and chuckle over. I've never been a fan of Brooks, but I'll give him credit for this one. He came up with a wickedly clever way through a sticky situation and executed it well. Are you implying that he's riding the fence, per chance? He's not one of my favorites, either, but occasionally he does write an impressive piece, like this one, and you know he catches a lot of heat when he does so. I've also noticed that a lot of fright-wingers don't seem to like him much. Apparently they think he's not conservative enough and that he's soft on Obama. Ya gotta be full of hate to pass muster with that crowd; they won't accept anything less. Certainly sounds like he’s blasting Romney to me, Will. But hey, maybe you have a point…. dismembering companies and costing people their jobs is actually a thing liberals don’t laugh at a lot. And in a way, doesn’t this whole comment stream amplify what Romney is? – a blandness you can read whatever you want into. Don't understand why some of your comments automatically go into Spam. Just noticed this last night. Sorry. Anyway . . . I'm just finishing a book on the 2008 primaries and campaign. Horribly written but very interesting nonetheless - a lot of behind the scenes stuff. I was intrigued by the fact that during the GOP primaries when all the players were still playing, not one of them - McCain, Huckabee, etc. - liked or respected Romney. They thought he was a flip-flopper and liar, but even more telling, they thought he was vicious. And now look at them just a few short years later!!! Yuck. ". . .during the GOP primaries when all the players were still playing, not one of them - McCain, Huckabee, etc. - liked or respected Romney." Romney isn't a team player and never has been. Republicans like those you mentioned know it. What makes him acceptable now is his demonstrated willingness to say and do anything to win, and his wealth. They understand and respect that, and want to win the White House badly enough, that they will hold their noses and support him as though he's the greatest thing since George W. Bush. HAAAAAAAAA!!! That was hilarious, Leslie, and it mirrors the truth. What a pathetically boring and lying candidate Romney is!